Perfect for the beach, summer or everyday. 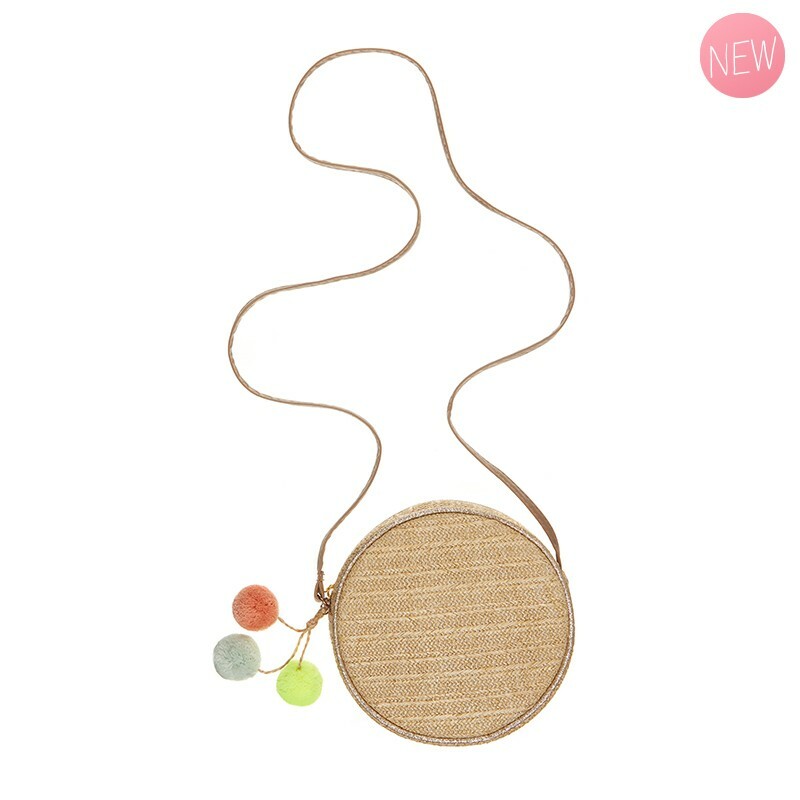 Made with a straw-like fabric and with a zip top fastening and leather look tan cross body strap, this bag is adorned with 3 30mm pom pom charms. Honalulu Pom pom-tastic round basket cross body bag.